Lock in a great price for Febri's Hotel & Spa – rated 8.9 by recent guests! the pool....was kept cool and enjoyed the large pool area. The hotel is older. OK location. Breakfast was OK. Bed was comfortable, with good shower. 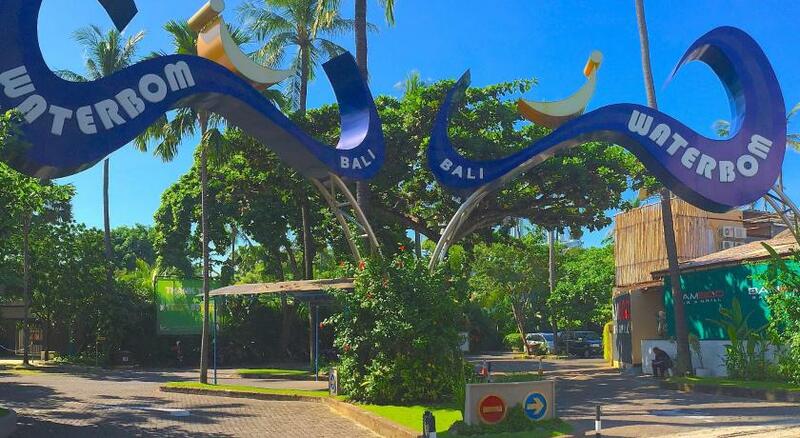 I enjoyed the walk on Kuta beach in the morning and shoulder massage. My room was large, comfortable, well appointed with a wonderful balcony. Outstanding value. Restaurant was a big surprise - the food was very delicious. Obliging staff especially the males. Areas clean and tidy. 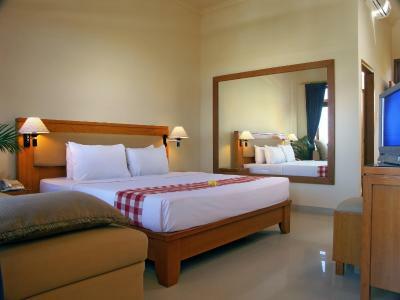 Large bedrooms, spacious and clean. 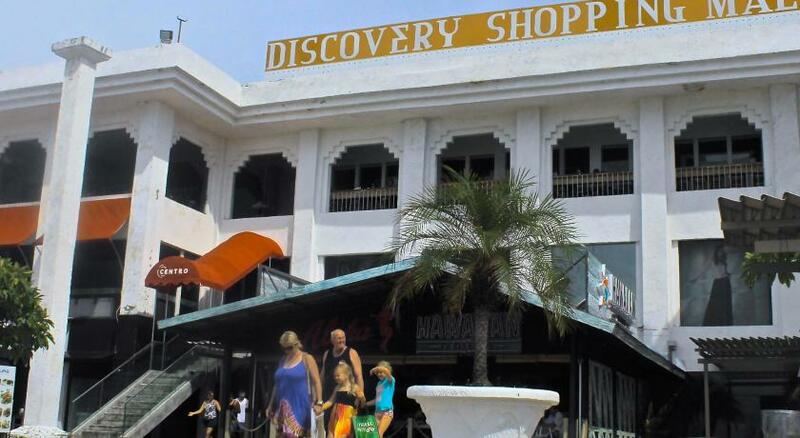 Close to everything for a short stay - airport, Discovery mall, restaurants. The spa has an excellent selection of treatments. Breakfast was as good as any 5 star. Fruit,cereals,Asian style and of course the egg bar.Room cleaned every day. Shoulder massage at breakfast. Very clean and comfortable spa. Indulged each day. Evening meal fine, however as I don't like fish, menu was limited for me. Good central location. I truly enjoyed the hotel and its staff very much so for a week! 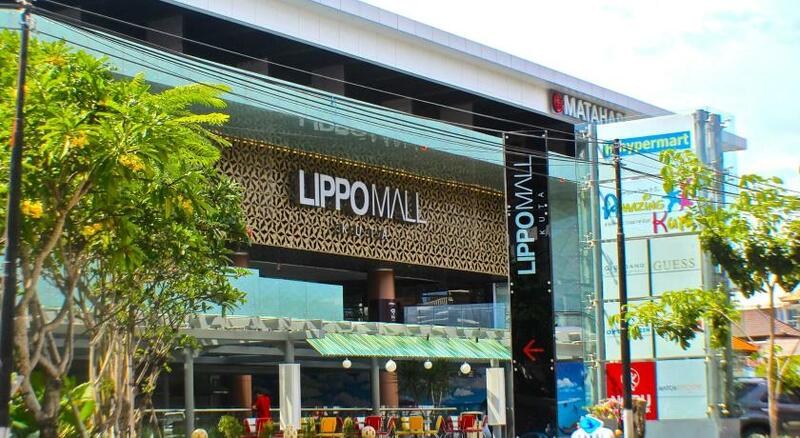 Great property, spacious, and clean room! 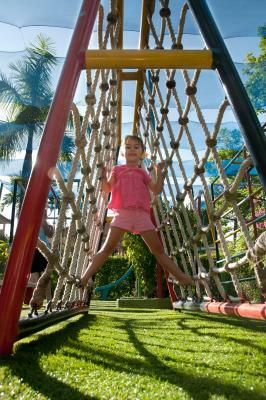 Every staff member was friendly, helpful, with lots of smiles. Location and Price are fabulous. 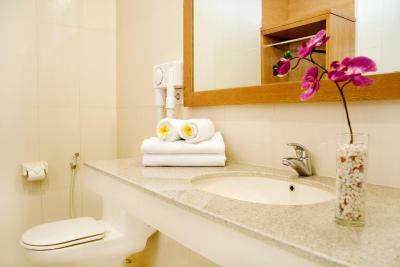 Staff are super friendly and the hotel is big on cleanliness. The location is great and the facilities really nice. It was my birthday and they left a card in the room, which was very sweet. Great swimming pool and breakfast. They provide free transportation to the airport. Excellent staff, friendly and accommodating. Fantastic pools and terrific Location! 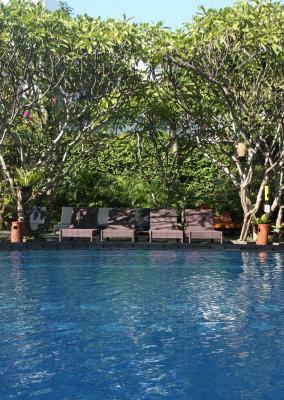 Febri's Hotel & Spa This rating is a reflection of how the property compares to the industry standard when it comes to price, facilities and services available. It's based on a self-evaluation by the property. Use this rating to help choose your stay! 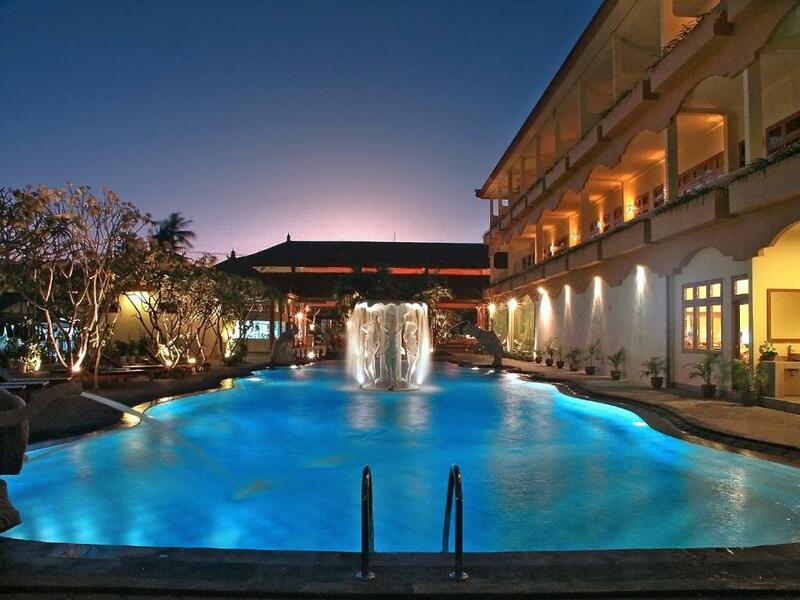 Febri's Hotel & Spa is surrounded by a garden near South Kuta Beach (Tuban). 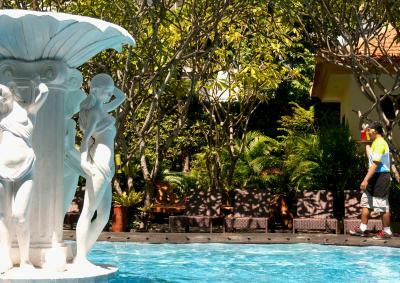 Inspired by a Balinese water palace, the hotel features an outdoor pool, restaurant, and rooms with private balconies. 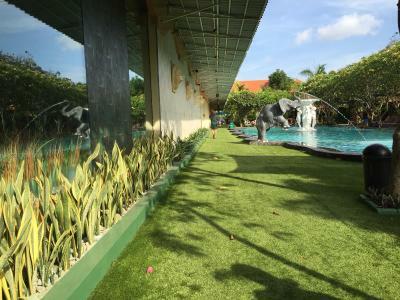 Located along the Kartika Plaza main street, Febri's Hotel is within walking distance of Waterbom Park and Discovery Mall. The beach is only 650 feet away. 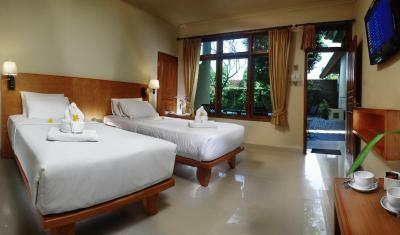 Fitted with a private terrace or balcony with garden views, the rooms at Febri’s include a cable TV, fridge and safe. 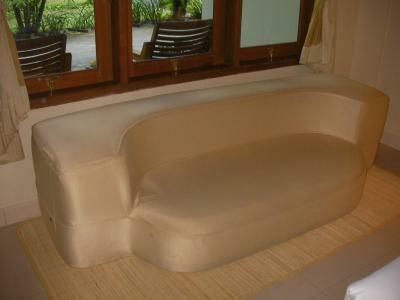 A vanity table, sofa bed and sitting area are also included. Some rooms provide views of the grounds, and other rooms offer pool views. 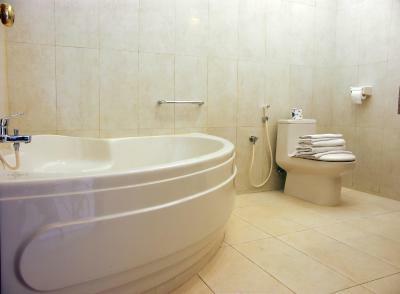 Guests can relax in the outdoor hot tub or steam room. 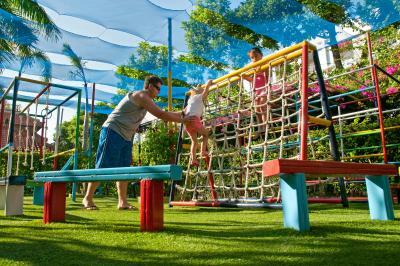 Other facilities include private spa villas and a children’s playroom. Febri’s has a tour desk, and car or bike rental. 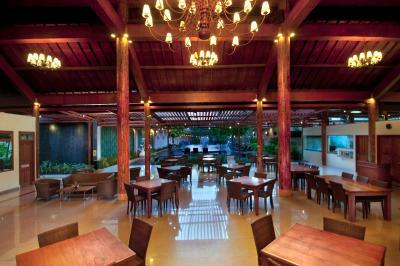 Diners at the restaurant can enjoy views of the street and the pool and enjoying local and international dishes. Live music entertainment is provided in the evenings. When would you like to stay at Febri's Hotel & Spa? 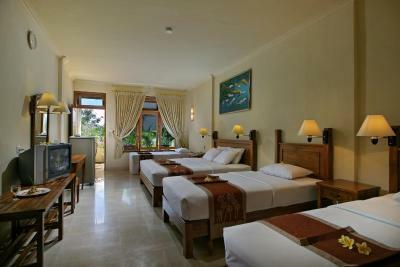 Located at the hotel's main wing next to the main pool, this room features orthopedic beds, a small sofa, a private bathroom, a private balcony with a sitting area and a large refrigerator. 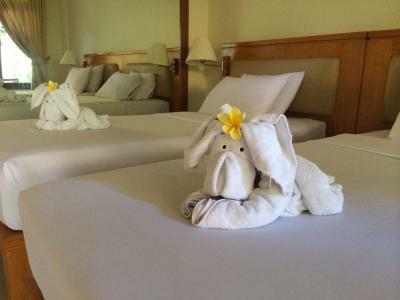 Guests should specify bed-type preference when booking. Last-minute requests will incur an additional charge. 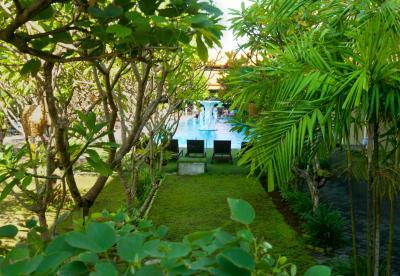 Located on the third floor of the property accessible via elevator on the eastern side of the premise, this spacious quadruple room can accommodate up to 4 guests and comes with a private bathroom and a large private balcony overlooking the lush garden. 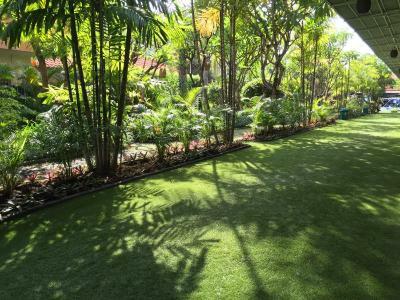 Located on the third floor of the property accessible via elevator on the eastern side of the premise, this spacious quintet room can accommodate up to 5 guests and comes with a private bathroom and a large private balcony overlooking the lush garden. 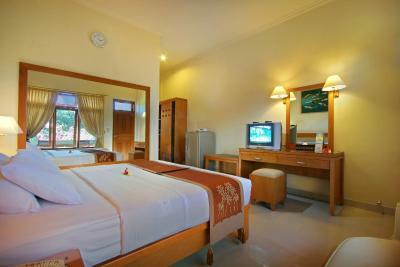 Located near the smaller swimming pool of the property, this room is located in a 3-level building with no elevators. Eac room has a small balcony with seating area. Please note that guests should specify bedding type preferences at the time of booking because last-minute change at the arrival will incur additional charge. 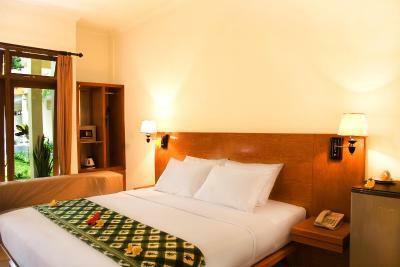 Febri's Hotel was established in 2005. Regular spring cleaning for every room is made twice a year with new paints and polishing of all wooden furniture. 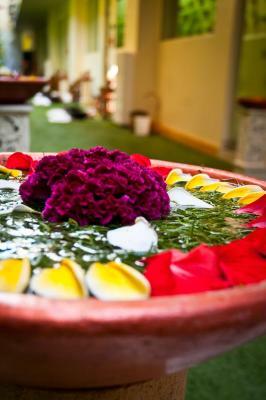 House Rules Febri's Hotel & Spa takes special requests – add in the next step! Febri&#39;s Hotel &amp; Spa accepts these cards and reserves the right to temporarily hold an amount prior to arrival. Febri's Hotel & Spa accepts these cards and reserves the right to temporarily hold an amount prior to arrival. Please note that children are not allowed to share existing bed with parents. 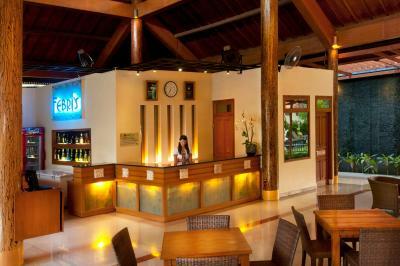 Please note that the hotel's normal check-in timing is 18:00. To enjoy an early check-in, please provide your flight details (under Special Requests) during booking. 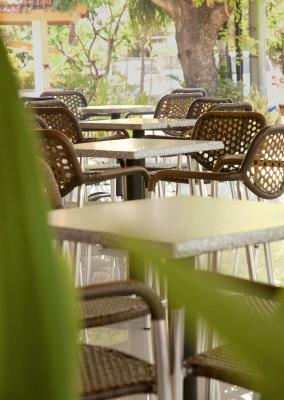 Friendly staff, affordable onsite restaurant and great location. Quiet for families, yet within walking distance to 2 lareg shopping centres, local doctor and Circle K convenience stores. The water in both the sink and toilet smells quite bad and is quite overwhelming. I would stay here for one day only as it was quite an issue. 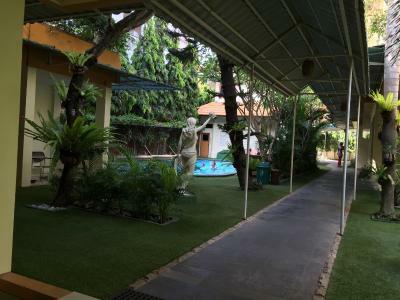 Excellent location close to the airport. The free airport shuttle was great. The restaurant was a lot better than we expected. The swimming pool in warm water. Is good for Children swim at night as they wouldn't get cold. And provide shuttle at airport for free. 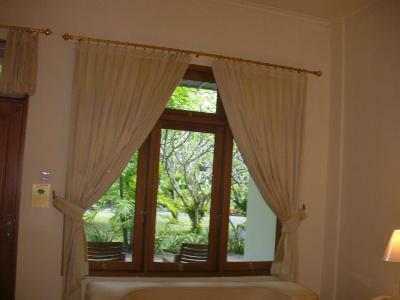 Everything was very good, room, food, location and staffs. The children were so noisy in the pool. There were signs to say no bombing but it was happening continually plus running and diving in. Very dangerous. A couple of people tended to complain about the kids splashing in the pool but their kids were also involved. The breakfast was great each morning. The pool toys were always good. Only real downside - not a show stopper was the need to run the shower for a couple of minutes due to the stinking water(quite putrid) but you are fore warned this may occur. There was loud noises and furniture being dragged around the hotel very early in the morning. 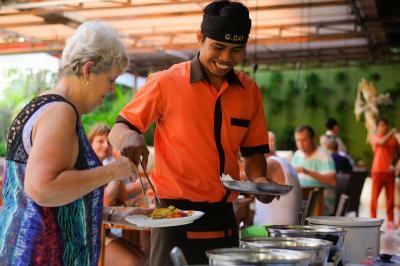 The buffet breakfast was delicious with many different choices. 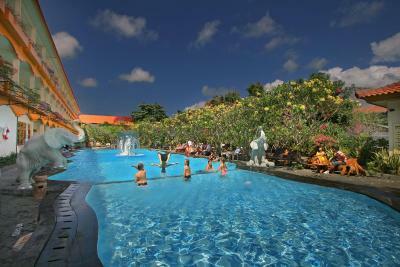 The two pools were fantastic and the staff were always very friendly and accommodating. The location was very ideal and near to everything. Hotel & accomodation was perfect! The only downfall was the cocktails sold at bar always had a funny taste to them but nothing to dislike about the restraunt / hotel itself. Loved everything! Big clean rooms, massive bathrooms they even had a clothes drying rack in each room (bonus after a swim) . Large size fridges & great air con! Pool towels already in each room so no need for check in check out service. Complimentry breakfast was good! Staff were amazing & friendly! Great location & wasnt overly busy! Great for young & old!